Having recently moved to the U.S. from Ireland, Phoebe Prince was taunted and bullied for several months by at least two groups of students at South Hadley High School. On January 14, 2010, after a day of harassment and taunting, Prince committed suicide. In response, local special education teacher Martha Guild, became an Adult Volunteer for Girl Scouts and leads Troop 11253. "Such a tragedy," Guild said. "So hard on our town. And all the things you learn about bullies - you have a lead bully, people who support the bully, and bystanders. I feared for my daughter and other girls. I had to do something; I didn't want to sit around." 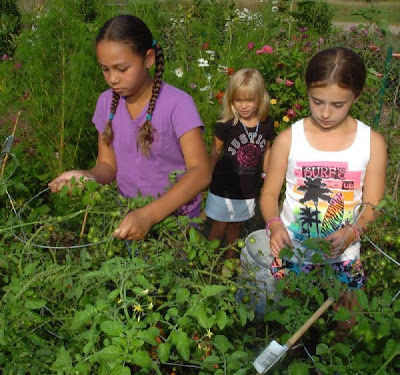 The Daily Hampshire Gazette reports that all summer long the Junior Girl Scouts of Troop 11253 have worked in the South Hadley Community Garden, reaping produce they planted and cultivated in the spring. In a recent tally, the troop had harvested 71 pounds of summer squash, cucumbers, green beans, radishes and cherry tomatoes and hauled it to the South Hadley Food Pantry. The suicide of Phoebe Prince, on January 14, 2010, led to the criminal prosecution of six teenagers, as well as the enactment of stricter anti-bullying legislation by the Massachusetts state legislature.